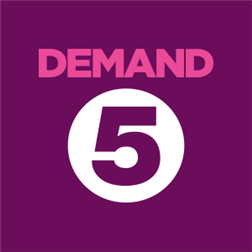 – Catch up on programmes from Channel 5, 5* and 5USA in this Demand 5 app for Windows Phone 8. – This app provides a free 7-day catch up service for a wide selection of Channel 5, 5* and 5USA shows (some shows are available for longer) plus a selection of classic archive programmes. – To ensure you are provided with the best viewing experience, this app requires Wi-Fi. – You will need Windows Phone 8 to use this application. o We cannot always bring you every programme shown on Channel 5. Although we are constantly striving to secure more rights. o The app is restricted to use within the UK.